1. Where is the location? This is one of the most important factors you should keep in mind while choosing banquet hall. The hall should be easily accessible from all parts of the city with good connectivity by bus, metro, rails and cab services if you want maximum number of guests to participate in the celebration. 2. How is the ambience? The banquet hall you choose reflect your class and status in the society. From lavish dining halls to sprawling lawns for open-air parties, the best banquet halls have all arrangements to give a sophisticated look to your party. Cost is one of the important factors that you must keep in mind while choosing a marriage hall. Choose a banquet hall where there are no hidden costs and all the transactions are transparent. 4. Who will make the food arrangements? Some of the premium banquet halls in Mumbai such as Natraj Avenues, also provide you with the catering services. choose this kind of hall to have a complete hassle free celebration of your D-day. These halls have their own chefs who can prepare diverse number of delicious dishes as per your preference. 5. What are the extra facilities? Besides an open-air area and a hall, some of the good banquet halls come with exquisite facilities like a swimming pool, gardens decorated with flowers and hospitable staff. Another significant factor that you must check is the number of guests the marriage hall can accommodate; a congested space will lead to dissatisfaction of your guests. 7. What is the feedback? Last but not the least; check the testimonials available at the website of the best banquet halls. The feedback of the other users will give you an idea about the quality of services that you can expect. A marriage is the union of two people who love each other but also the opportunity to celebrate his happiness with his family, his friends and relatives. Still it is necessary to find the ideal place that can accommodate all your guests and meet your needs and desires. Because it is crucial, choosing a reception venue can look like a real headache. We do not know where to start. As soon as you have decided on a wedding date, usually 1 year before D-Day, look for the reception room. This search must be at the top of your schedule. As soon as you have found it, you will have done most of the work. Before launching the “Find our banquet hall” operation, it is important to estimate roughly how many guests you plan to receive. It will tell you the type of surface you will need. Obviously in a geographical area that you like or is related to your story! The ideal is also to find a place easily accessible to all like marriage hall in Chembur, not too far from the place where the civil and / or religious ceremony will take place and relatively close to a station, an airport and hotels that will welcome your relatives from afar. As you can imagine there is a considerable financial difference between renting a castle and privatising room of parties. But that the small budgets are reassured, one can have as much fun in a decorated hangar as in a palace! It constitutes with the caterer the most important item of expenditure of the total cost of a marriage. 1. What is the maximum capacity for a sit-down dinner, a standing cocktail? It takes 1m² per person for a sit-down dinner and 50 cm² for a buffet. 2. What precisely does the proposed price include: only the rental of the walls or all the reception equipment (chairs, tables, tableware)? 3. How long do you have in the room? What is the cost per hour of overtaking? 4. Is the caterer imposed by the owner of the premises or is it possible to bring the caterer of his choice? 5. Is it possible to dance, to bring in a DJ and other animators? 6. Do you have the right to decorate the room freely? 7. Will your wedding be the only one planned that day or will you have to share the show and the premises with another reception? 8. Is it possible to organise the wine of honour outside, to have a tent installed? What is meant for bad weather? 9. Is it possible to benefit from a negotiated rate under certain conditions: weekly rental, off-season? 10.What are the methods of payment: payment of a deposit or deposit, possibilities to pay in instalments, recourse in case of cancellation? To have a tent installed? As one of the most posh cities in India, where Bollywood styled dream weddings are so common; a good location is one of the more important factors. Some of the top wedding halls in Chembur; and such other specially scenic locations around the city, are renowned for providing the perfect environment for such grand weddings. 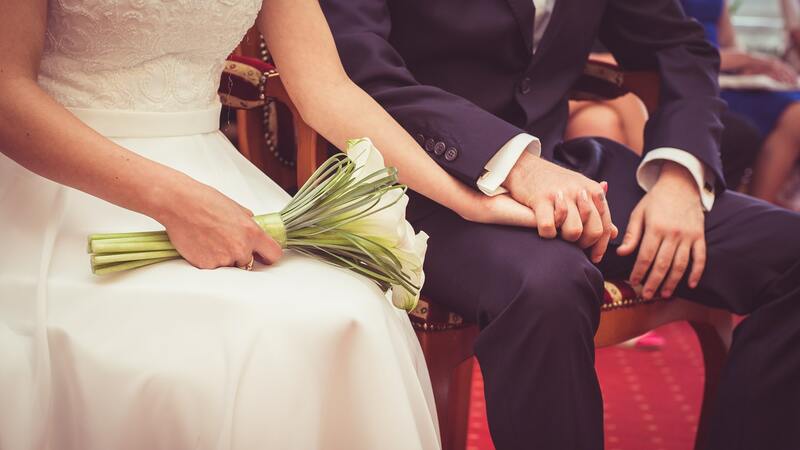 These hospitality establishments are well prepared to organise and facilitate weddings; and provide the hospitality staff and specific services needed for such an occasion. However, there is much more to organising a grand wedding apart from booking a large banquet hall at a scenic location. Even if you have booked the grandest banquet hall with a great ambiance; you still need a good flower decorator. Not all decorators able to live up to expectations during the peak wedding season. Thankfully, you can ask the banquet hall for their in-house vendors, which saves you a lot of hassle! Always have a complete tasting session, and double check the menu well in advance with your catering service. No one wants a situation where the catering doesn’t live up to the grandeur of the event! Also remember to have the catering arrangement planned and spread out well over the entire venue. One of the common things people forget to prepare for during a wedding is to arrange transportation properly. Always have a few extra vehicles available, and consult a proper travel agency when necessary. While you can rent a Natraj Garden, a grand wedding hall in Chembur rather easily, it is not always easy to find hotel accommodations nearby for the guests. Always book rooms at a good hotel, or holiday in within an hour’s drive from your venue. When you’re booking any banquet hall for a long and complicated event like a wedding, you would need the services of several professional vendors. While a good banquet hall would have their own list of capable in-house service providers, it is important to coordinate with them in advance so that the vendors can provide services that serve your expectations. Whether the company or the business group has plan to host the dinner, employee meeting or just the get together, a press conference. In all these occasions the banquet halls can be the best option. Banquet halls are found at the venues like the convention centres, resorts and the conference buildings and so on. It is the true fact that the accessibility and the quality of those banquet halls cannot be judged by seeing the website. It is better that you go to the place yourself and check the hall. 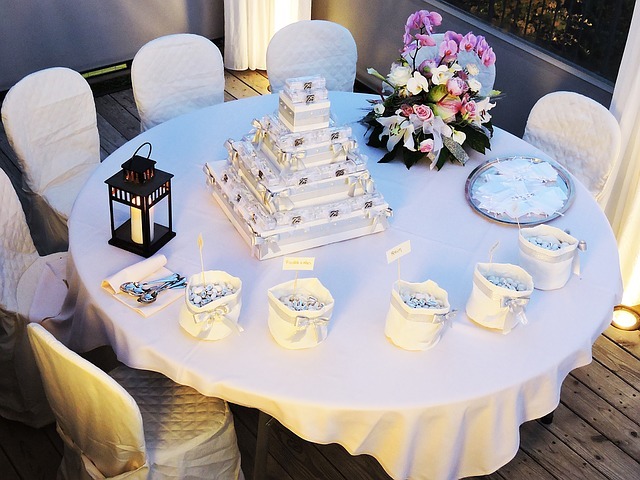 There are various criteria to choose the banquet for the event. The first thing is the type of event for which you are looking for the banquet hall, the second factor is the activities planned, the third factor is the number if guests coming to the party, the type of amenities available in the party and the last one is the accessibility and the distance of the banquet hall. These are some of the factors that you should keep in mind when you are selecting the banquet for the corporate events. Along with selecting the corporate events, it is better that you choose the best catering services to give the event the best appearance and the guests will remember the occasion for years. If you are thinking of a great event, be sure that the banquet hall that you are booking should be having enough space for the guests. If the banquet hall is small, the invitees will feel uncomfortable. The hall that you are choosing should be large enough so that there is no unused space left. If the hall is large enough, make it available for all the guests coming. The second thing that is to consider is the type of event that you are organising at the banquet hall. If the hall is booked for the wedding, then the entire decoration will be different than the parties of the corporate sectors. The corporate events are more formal than the personal occasions. So, when you are hiring the banquet hall for the corporate parties, be sure that you are hiring from a reputed company. When you are booking the hall, be sure that you are checking the condition of the place before finalising the entire contract. Check the exit and the entrance of the hall, parking area, lighting and the area of dining. They are very important to judge on. These are the major factors that you should consider when you are booking the banquet hall. But, apart from these points, you should check the price of the hall or the rental fees. Natraj Garden, a lavish Banquet hall in Mumbai for weddings is very big and it can accommodate more than 800 invitees. Today the professionalism, quality and amazing adaptability of equipment catering ago to become the most interesting option to organise any social event with a high expectation of success. Whether a catering for banquets of all kinds, breakfast, cocktails, weddings, business meetings, catering and even children increasingly demanded especially nurseries or school canteens. To begin the diversity of alternatives that offer because they adapt to any social event either morning, afternoon, evening, as a snack, dinner or snack. They offer personalised pricing and tailored to customer needs, so we offer a choice of options that suit us as our economic situation. They save time when planning the organisation of the event, as catering services will take care of everything allowing only have to enjoy the service, and thus meet in a more relaxed way our guests. The exhaustive quality controls that follow the caterers are a guarantee that we will obtain a secure service that would exceed our expectations. Have very advanced equipment in the conservation and preparation of food, specially programmed for each product is stored in optimal conditions at all times. In addition, all teams are made respecting the environment. Undoubtedly hiring a professional catering team is a highly recommended to enjoy carefree special celebrations, thanks to large industry experts that will make our party a success option. Put your best research while searching for services that will make or break your event. Is it the wedding of your sweet sis? Or are you planning the birthday of your 5 years old child? Whatever be the occasion, when we are planning it and arranging everything yourselves it becomes tiring and we completely miss the fun in the event. Keeping in mind these hassles, now-a-days people prefer to engage an event catering company. But how do you rely on a group of unknown people to make the day of your special one memorable? This article gives you some guidelines that you may follow while hiring an event catering company. Any good event catering services in Mumbai will have testimonials from their previous customers. Checkout the feedback of people about the caterer before engaging them. From these testimonials, you will be able to understand the quality of service that you are going to get. Before booking an event catering company, you must checkout the rates of various other catering companies as well. there are several companies catering to this kind of services and if you want to be in profit it is best to survey the market before engaging any one. Most of these companies have their websites from where you can get all these details easily. Choose a package of services to get the best deals. Most of the premium event catering services in Mumbai comes with various packages to suit your needs. Packages may include breakfast, lunch, snacks and dinner; this means once you pay them you are relieved for all the days of occasion. As this kind of packages means more work for the catering companies they give you extra discounts. Last but not the least; to experience the best catering services get to know what platters they are offering. If you have complete knowledge about you are going to get there will not be any place of disaster on the D-day. 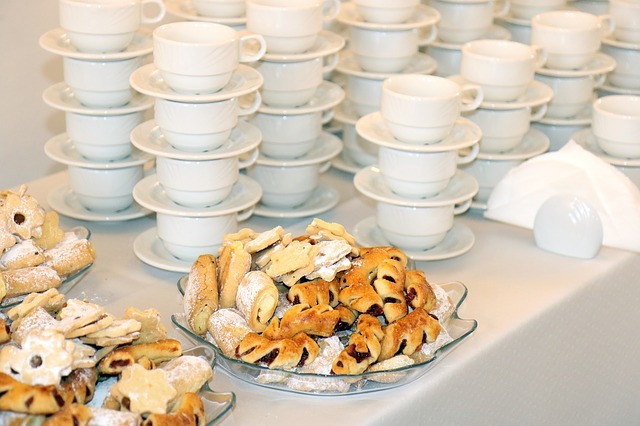 Engage a caterer who can meet your preferences. Hence now occasions do not mean loads of work and stress, it means sheer enjoyment with the best event catering company in Mumbai.